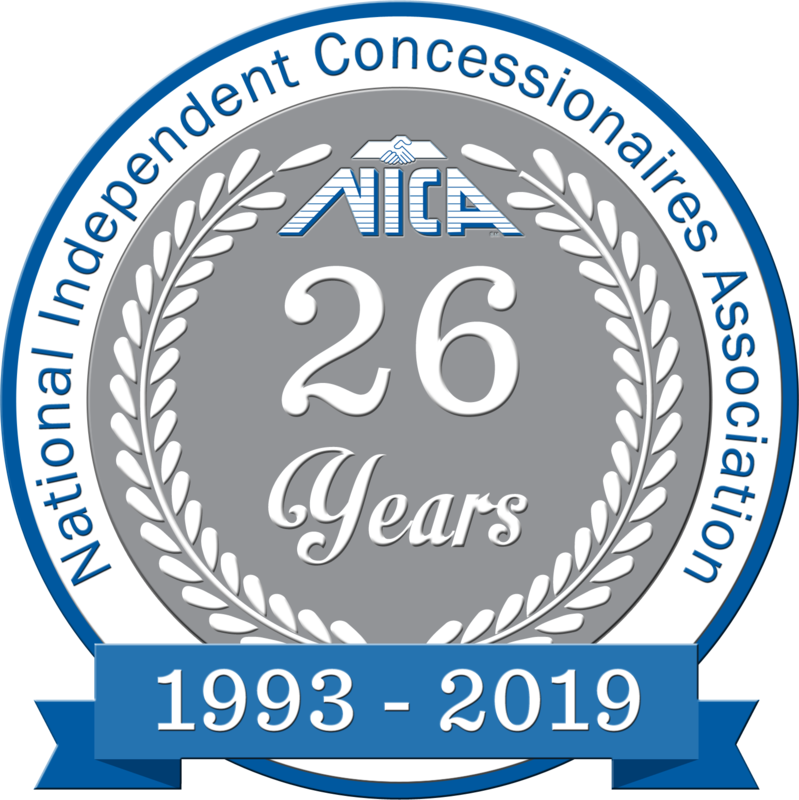 Voice in the Industry - National Independent Concessionaires Association, Inc. The Advisory Committee of Fair Managers and the NICA Board that confronts the concerns shared by the fair and the concessionaire. Support of OABA efforts with H2-B and ELD to benefit the needs of NICA members. Reduction of rent in many fairs that assist the concessionaire in keeping patron costs down and the removal of deposit for a fair in California so that the concessionaire can make improvements to their stand(s) among other accomplishments. Educational workshops and roundtables at IAFE, WFA, State Association Conventions and the NICA Expo and Fare Foods Food Show that keep members and even non-members up-to-date on current events, laws and trends. NICA Communication Committees that partner with fair management to solve concerns and create marketing campaigns that work. The development of NICA Regional Councils to represent geographical specific concerns of concessionaires. Providing educational scholarships to the Generation Forward of concessionaires. These accomplishments are the core foundation of NICA’s creation. The many benefits provided to members such as the NICA/Sysco Marketplace, National Coke and Pepsi pricing, National First Data pricing, CLC Lodging discounts and National Truck purchase agreements with Ford and Crystal Automotive (to name a few) are the by-products of an organization working hard for you as a Voice in the Industry. NICA is proud to provide the many benefits that not only save you money but also help your business grow. Do you have an experience that you want to share, a topic that hasn't been discussed enough, or a problem you've been experiencing? We want to hear from you!